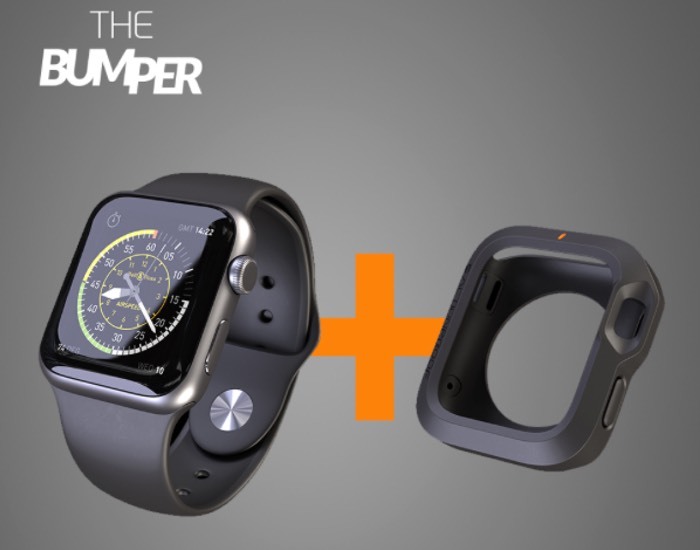 ActionProof has designed a new Apple Watch Bumper case that might be worth investing in over on the Indiegogo crowdfunding website. The Bumper watch case has been specifically designed to protect and make your Apple Watch “action proof” says its designers. Watch the video below to learn more about this new Apple Watch Bumper case that protects your Apple Watch yet still provides easy access to the button and the Crown on the right-hand side to navigate the new wearable Apple iOS operating system. “Anticipating the release of the Apple Watch, our team has developed THE BUMPER, the first shock absorber for this new revolutionary technology. – Time is key when it comes to action. THE BUMPER is easy to install in one simple move, even in the most difficult and extreme situations.